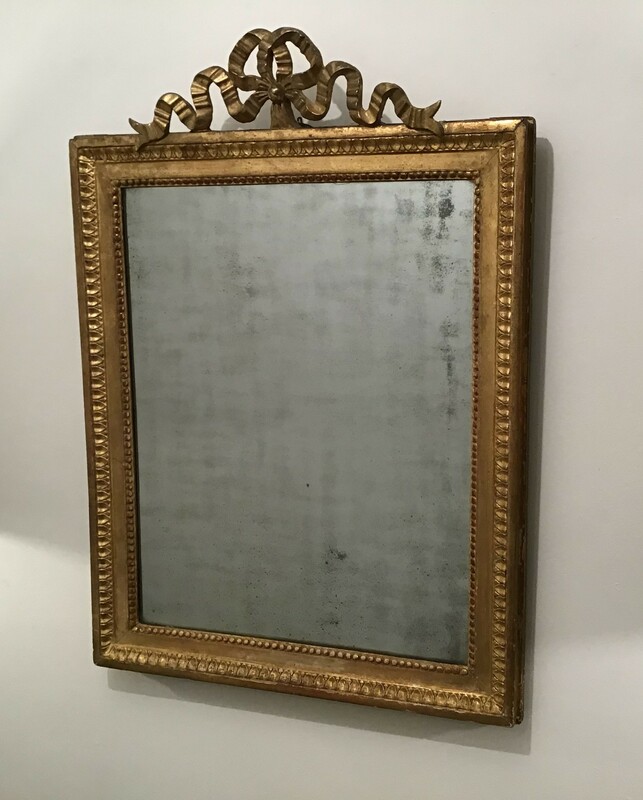 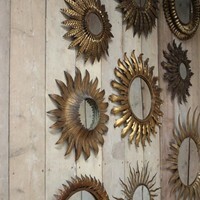 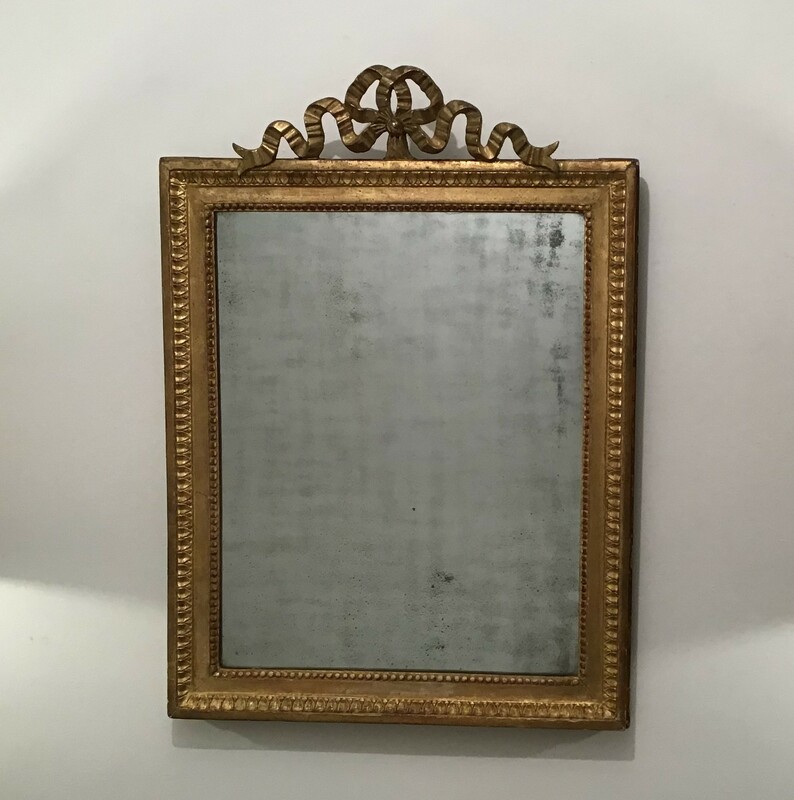 A pretty 18th century French wall mirror. 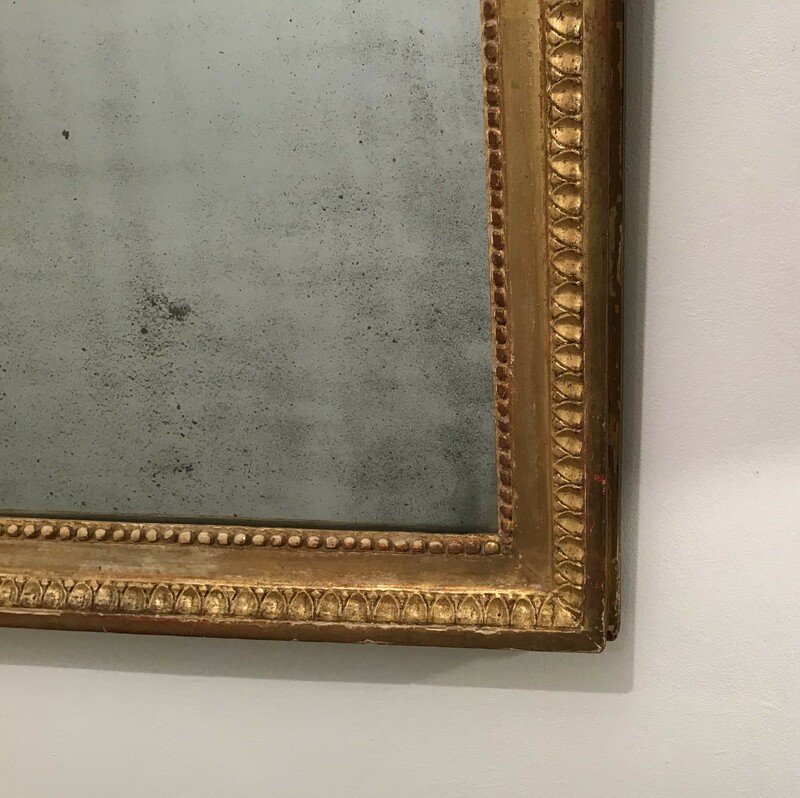 The original water gilding to the frame is still strong but with a faded brilliance. 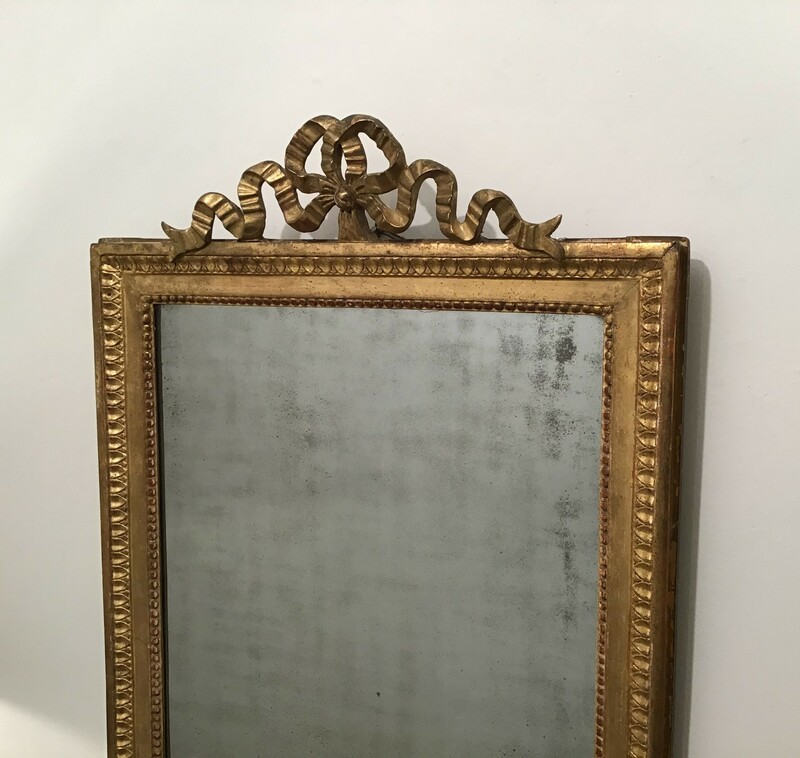 The decorative ribbon crest is intact.